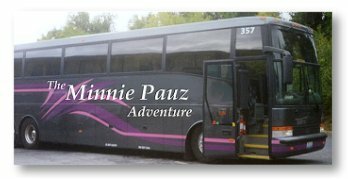 Minnie Pauz® continues to be the most unique and FUN approach to getting the attention of midlife women and to stand out among all your competitors who are using the old, boring advertising methods. Women are downright fed up with so many confusing medical reports and so many ads that all say the same thing. That's why approaching women's health concerns with something fresh and fun such as Minnie Pauz is such a success. And it's not just health products the Minnie Pauz reader is looking for, it's LIFESTYLE changes they're dealing with and GRANDCHILDREN, sometimes DATING and of course, FINANCIAL decisions, not to mention having to deal with unwanted FACIAL HAIR!! Minnie Pauz is the ultimate babyboomer and the audience LOVES her! active adults have found a place to belong with Del Webb. The world's trusted source of in-home, elderly companionship and home care. "The Boomer woman has been relying on the health-publishing giants (like WebMD and Mayo Clinic) for over a decade,but she is now relying equally on trusted communities online (like minniepauz.com), places where she can share information and advice with the millions of other women who are experts about something because they themselves have experienced and learned about it." "Advertising with Minniepauz.com has been the best move I have made for my business. I had a remarkable increase in sales and in visits to my website as soon as the newsletter came out. The humor, the fun, the women sharing their experiences- there is no better way to generate sales than by establishing a sense of community like you do! Thank you for allowing me to be part of it all." "My statistics are currently proving what my intuitive sense was -- that advertising with you works..."
Elizabeth Kelly, Owner, Serene Comfort Your One Stop Shop for Menopause Friendly Sleepwear! I did see a large increase in visits on the day you sent the newsletter and a few days after. I also saw an increase in sales so I definately am looking forward to seeing the response after the next newsletter. Is your marketing strategy missing the bus? popularity on the social networks! as boomers take their health into their own hands. "Minnie Pauz" is becoming as important in the world of women's health as Smokey the Bear was to Forest Fire Prevention. Healthcare professionals and companies love having a new approach to reaching the millions of women who are experiencing the "change". The competition to get the attention of the huge babyboomer (menopausal) market is intense, and Minnie Pauz is positioned to help change the look and RESULTS of healthcare marketing and advertising. But, there's more! If you are a company who targets women 35-65, Minnie Pauz is the perfect character to promote your brand to your market. Support groups, spas, diet and exercise plans, books and videos are emerging markets built around menopausal women. Natural supplements and soy products in lieu of controversial hormone replacement therapy are also popular. Advertising and sponsorship opportunities on MinniePauz.com offer great value for your advertising dollar! We have top listing (usually within the top 10) in all major search engines for specialty keywords like menopause humor and cartoons. Nearly 10,000 opt-in subscribers receive the Minnie Pauz e-mail newsletter, another 4500 registered on the forum and over 3165 current "likes" on Facebook. Our site provides over 300 cartoons so viewers continually return – providing your company with repeated exposure to each viewer with their return visits. t is not only informative, but also entertaining and specifically for them. this unique generation as they experience the many sensitive issues of the aging process. One of the most important issues is how long visitors remain on a website (or page). 1-5 minutes being spent by 44.5% of visitors to our site. Computers Use "Minnie's" popularity to get their attention for your products! It's a totally different and completely non-threatening advertising approach. Non-Profit Orgs More effective than "Smokey the Bear" used to be for fire prevention! Your program or campaign will be INSTANTLY recognized and remembered. TV commercials, training materials, videos. Look at what "Snoopy" has done for Met Life! Ad Campaigns You can stand out from the crowd! Design an entire campaign around this character. Autograph Sessions Book "Minnie Pauz" at least 3 mo. in advance! Giftware So many products that are being used and desired by midlife females! You can join in with this HOT new property! Animated training videos Humorous illustrations always make information more enjoyable. Websites A great addition to any publication! Readers will look forward to the "next" cartoon appearing in your pages! Minnie Pauz illustrations can also help sell your book! Special Events Private and Corporate sponsorship available. 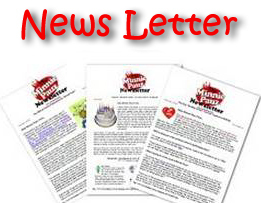 Newsletter Viewers depend on Minnie's recommendations for sites and products. Your ad appears over 12,000 email boxes at least once a month. See demographics and traffic* above for further info.